Breathing sustains life. Breathing in particular ways can enhance and even prolong life. In the Taoist arts there are different breathing techniques. There’s nostril breathing, mouth and nostril, mouth, natural abdominal, reverse abdominal, perineal, tortoise, fetal and entire body breathing. 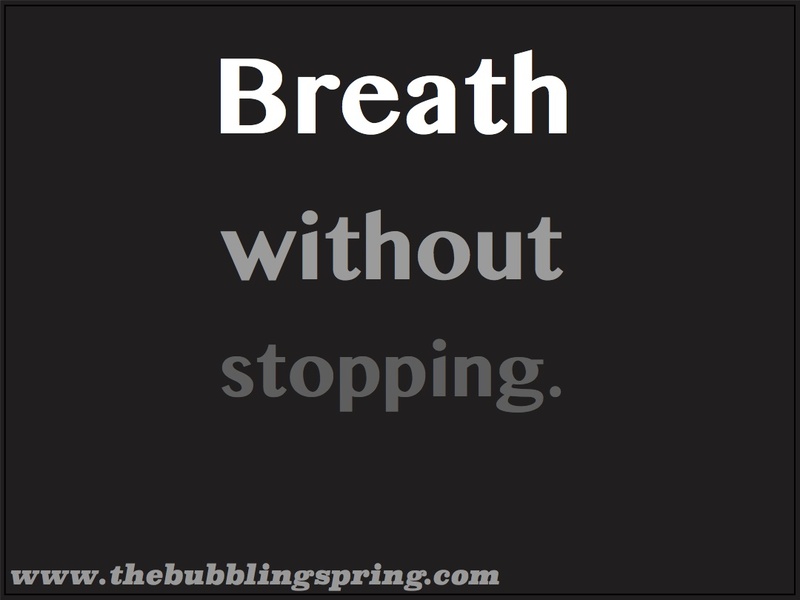 Dr. Eliott Kravitz a medical advisor to Master Moy once quipped to a small class, “Just don’t stop.” This last one is probably one of the best pieces of advice I’ve heard about breathing. During some movements like the Dan-yu, if you can breath in and out timed with each cycle of down and up the effects are amazing. One can continue practicing with ease and energy is circulated readily throughout the movement. Breathing can better connect the movements of our forms. There’s regulating the breathe which is breathing without conscious awareness allowing bodily movements to affect our breathing. This is perhaps one of the primary benefits of a well-timed internal martial art. When we move in a regular rhythmic manner our breathing follows. This regulated breathing over time has significant health benefits. On the other hand directed breathing is where we consciously manipulate our breath to control movement and the rate of our breathing. To achieve benefit from directed breathing it is wise to seek guidance from someone with experience. A beneficial approach but fairly benign is the directed breathing technique where you attempt to breath as deeply as you can slowly without stopping. In the middle of stressful situations, this directed breathing can help one relax and recover emotional balance. What does this have to do with our daily affairs? Our breath is an indicator of our state of mind and body. Many people breath in shallow manners not taking in energy for various reasons like stress or emotional difficulties. This is restricting the exchange of energy with the environment. When we are injured in sparing or other physical activities we hold our breath. The thing is if we can breath deep and allow ourselves to relax, the injury and pain can more readily subside. The same holds true in our stressful lives. Simply being aware of our breathing when confronted with a difficult situation or person can significantly alter our perspective and interaction with our environment. Breath is life. It is one of the primary ways we exchange energy with our environment. The first step in working with our breath is to be aware of it. Awareness of our breath can enhance our connection with ourselves and what’s happening around us. The second step is to allow our breath to follow the movements in our lives whether we are practicing Tai Chi, a hard form, exercising, having fun with our significant other or just going for a walk. We need not pursue this so directly. Simply being aware and loosening our body to allow our breathing to proceed naturally without interruption is the key to the second step. The third step is to explore how our breathing changes as our movement and emotions change. This is where guidance is beneficial. No matter what you do, just don’t stop breathing. For descriptions of different types of Taoist breathing techniques refer to The Shambala Guide to Taoism, A complete introduction to the history, philosophy, and practice of an ancient Chinese spiritual traditions by Eva Wong. Hi Jacob, really interesting post as always. Being aware of our breath and breathing is a great way to feel more in tune with ourselves and, as such, more empowered. After all, the one thing we do each and every second of each and every day is breathe. However, unless we are mindful of our breathing it can be something we’re totally unaware of. And yet, our emotions can impact our breathing and vice-versa, as you say, so breath and breathing is such an important thing. And Tai Chi is a wonderful way to learn about all of this. Wishing you a relaxing Sunday, Sam.